The Jim Henson Company announced today the launch of a new retail merchandising initiative surrounding the 20th Anniversary of the Emmy Award-winning animated television series Jim Henson’s Muppet Babies. The program will consist of a two-tiered approach to hit retail in 2003 and 2004. Master toy licensee Toy Play, a division of The Betesh Group; Bendon Publishing and Horizons have already signed on. The program will strategically focus on the expansion of licensees for the property in very specific markets: 1) specialty retailers for tweens and teens beginning in 2003 and 2) mass market for preschoolers and toddlers starting in 2004. With the widespread success of the Muppets at key retailers and specialty stores including Hot Topic and Urban Outfitters, Muppet Babies is primed to be the next hot item for this fashion-forward set. Toy Play is creating a line of product for the tween and teen market to include cuddle pillows, plush, plush beanies, and clip ons that will hit specialty stores for back-to-school. Toy Play will continue to expand its specialty store line moving forward. Horizons will launch a line of socks, hats, flip-flops and other accessories this fall in specialty stores including Rainbow Shops, Hot Topic, Mandee and more. Mighty Fine t-shirts are already available in retailers such as Torrid, Urban Outfitters and Juicy Boutique. Toy Play beanie babies will be available at Walgreens this September for the 2-2-2 Jim Henson’s Muppet Babies preschool audience, with plans to hit the mass market for spring 2004. The launch of plush with video will be TV advertised for an Easter launch. Toy Play will also TV advertise Muppet Babies during Holiday 2004 for its Muppet Babies plush. Bendon Publishing will publish 32 titles including board books, coloring books, activity books, story books and puzzles that are set to hit shelves back-to-school 2003 in mass market. 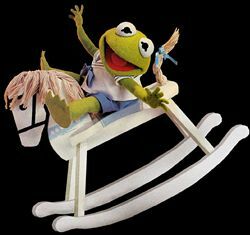 Jim Henson’s Muppet Babies was first introduced to audiences in June 1984 with the theatrical release of The Muppets Take Manhattan. 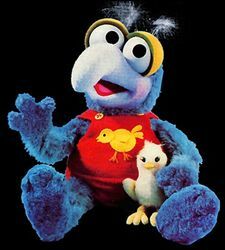 In September 1984, Jim Henson’s Muppet Babies made its television debut as an animated series on CBS’ Saturday morning children’s block. The series focused on the importance of imagination and ran for eight consecutive years and is still in international syndication. 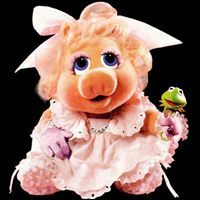 During its original broadcast, Muppet Babies received five Emmy® Awards, including four consecutive wins for “Outstanding Animated Program”, further solidifying a place in history for Baby Kermit, Baby Miss Piggy, Baby Fozzie Bear, Baby Gonzo, Baby Rowlf, Baby Scooter and Baby Skeeter (Baby Scooter’s look-alike sister). In 1985, The Jim Henson Company partnered with Hasbro to create a successful Muppet Babies plush line with retail sales exceeding $25 million. In addition, promotional partners included Procter & Gamble’s plush program, which sold $1 million and McDonald’s holiday plush promotion, which sold $38 million.